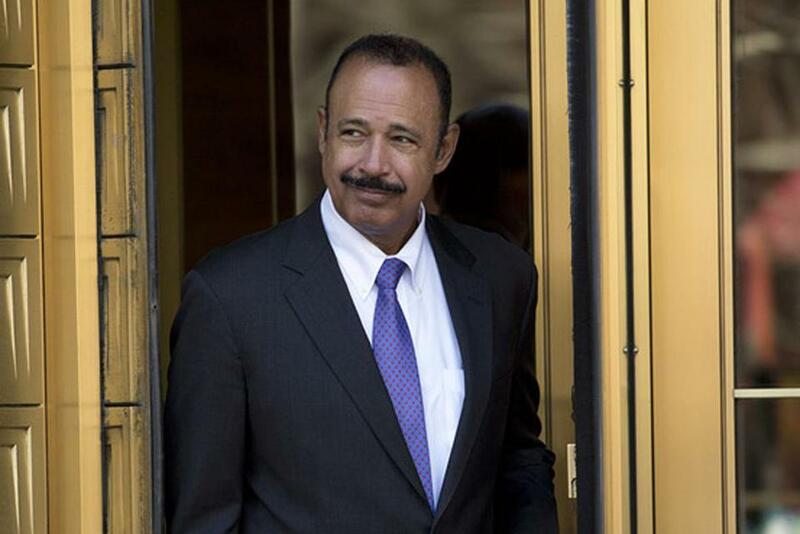 Attorney Ted Wells was the NFL’s lead investigator in Deflategate. I am, in fact, both a sociologist and a political scientist, and Michael’s prod got me thinking about Deflategate from the perspective of both disciplines. It’s not just the physics that is off kilter. The twisting of workplace realities by attorney Ted Wells and the National Football League’s autocratic disciplinary system are equally problematic. Wells finds Tom Brady guilty mostly on the basis of opaque text-message strings exchanged, months apart, by two low-level Patriots employees, ball preparer John Jastremski and part-time locker room attendant Jim McNally. It is “common sense,” the Wells sleuths proclaim, that Tom Brady’s preferences and actions are accurately characterized in the banter of these two workers. But sociological studies of workplaces tell us that employee banter is mostly about blowing off steam and dealing with resentments about superiors, not a matter of truth-telling. Making fun of the boss, even concocting extreme and untrue speculations about him (or her), helps subordinate employees get through the day. Employees feel better — and probably do their jobs more efficiently – when they can kvetch freely about their bosses, especially when they are chewed out for something they feel they did not do or cannot control. Take the case of the vast overinflation of the Patriots footballs for the Oct. 16, 2014, game with the Jets – apparently overinflation up to 16.0 psi or more, at least 2.5 psi above regulation. This was done by the NFL’s own referees, but Brady flew into a tantrum against the available scapegoat, his ball preparer. Of course, Jastremski knew he had merely handed the Patriots’ balls approved by Brady to McNally to give to the refs for final checks before the game. The refs overinflated them, not him, so why was Brady blaming him? Who better to kvetch with but McNally, who was equally powerless in dealing with the refs and their arbitrariness about testing and inflating footballs? The NFL reveals its priorities. What resulted from this episode? In passing, the Wells report reveals that after the Jets game, McNally repeatedly reminded the refs that Brady wanted his footballs set at 12.5 psi, at the lower end of the legal range. Head referee Walt Anderson said McNally stressed that for the January AFC title game, and also recalled that McNally had said something similar before the Nov. 2 Broncos game. Of course McNally did! He was doing his best to make sure Brady would not explode into another tantrum. Contemplating this Wells move, I think back to my days as a PhD student in the 1970s. We grad students exchanged all kinds of phantasmagorical gossip about our professors and the deans, often accusing them of stuff that was far from any truth, and hurling insults about them, especially on days when one of them had criticized or hurt the feelings of a student (that was most days). Thankfully, it was not all in text messages that the likes of Ted Wells and his hounds could later discover and use to hang us and our teachers. 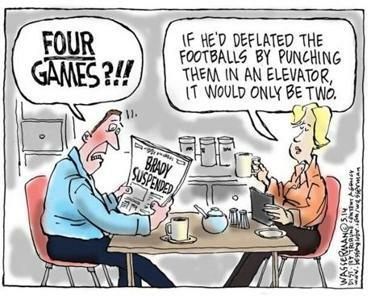 Nowadays, in the Deflategate world, we all had better be on guard. No more loose banter, especially in texts or e-mails or on the phone. Regular employees had better be careful what they say about their bosses in exchanges they think are private — and the higher-ups must be on notice that if their subordinates spread angry or mocking stories about them, someone like Commissioner Roger Goodell may decide those messages are the truth and demand that you hand over all of your communications, as well. That’s the sociological misfire at the core of Deflategate: criminalizing ordinary workplace banter, tearing it out of context, and turning casual steam-blowing among workers into legal evidence against an entire organization. The political problem is easier to pinpoint. Ever since James Madison, students of governance have known that it is better for an institution — like the NFL — if the investigative, prosecutorial, judicial, and appellate functions are not all fused into one authority. With a single commissioner orchestrating it all, the NFL’s justice system is just like the monarchical system the original New England patriots rebelled against. Truth will not likely prevail. In short, the Wells report — uncritically relied upon by the NFL’s Star Chamber disciplinary system — not only mangles common sense about workplace banter. It is an affront to America’s Founding Fathers. Theda Skocpol is Victor S. Thomas Professor of Government and Sociology at Harvard University. On May 19, she travels to New York City, the heart of sentiment against the New England Patriots, to receive an honorary degree from Columbia University.